Ramblings of a Jaffa Cat: Look out for the Easter Bunny! Now that we’re in April, it’s only a couple of weeks to go until we celebrate Easter. For me personally, as well as the excitement of chocolate eggs and hot cross buns, I enjoy spending time with my Church in the run-up to Easter Day. On Palm Sunday everyone gets a palm cross, reflection takes place on Good Friday and then comes Easter Sunday when the Church is decorated with beautiful flowers and everyone celebrates the resurrection and what it means. 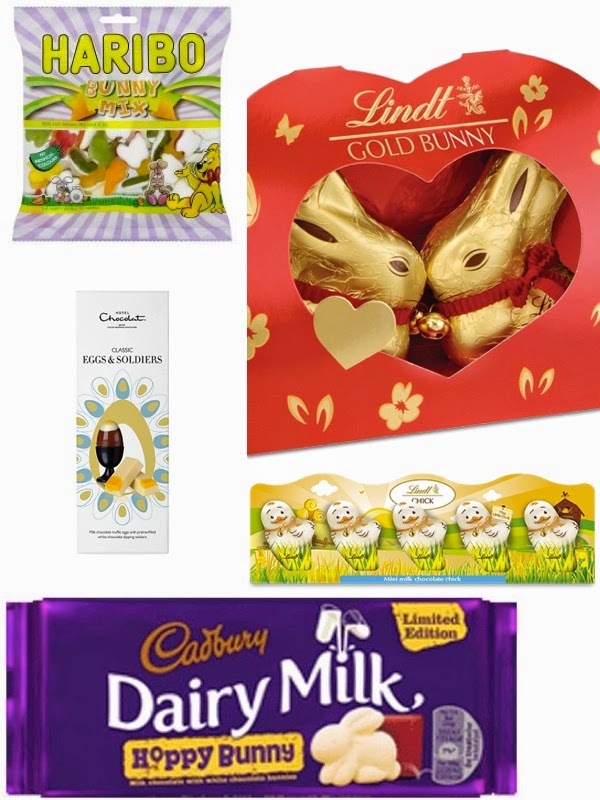 However, that’s not to say that I don’t enjoy the commercial side of Easter, so I thought I’d share with you some of my favourite products out there, that I’d be happy to receive from the Easter Bunny. Hopefully it will give you some ideas too! 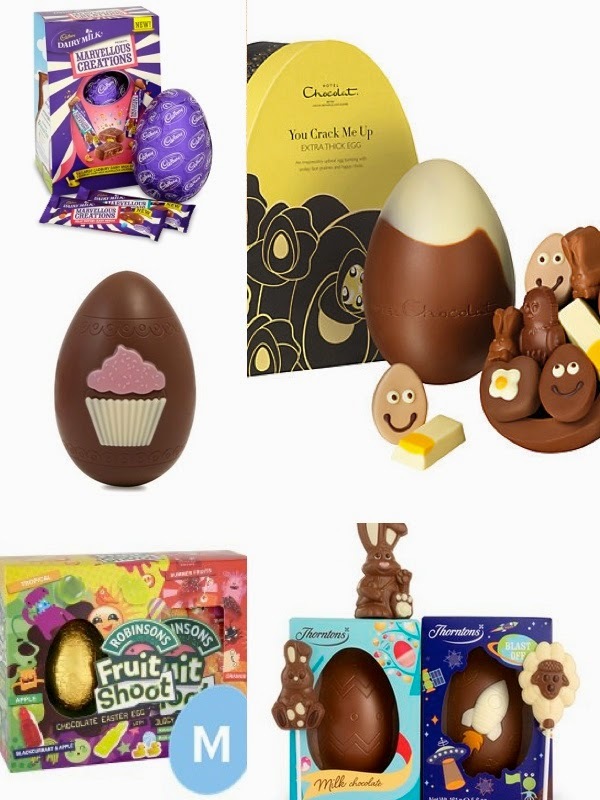 You can’t beat a bit of chocolate around Easter, and there are so many different eggs and sweets out there that it can be a bit daunting knowing where to start! Obviously one of your first ports of call is your local Supermarket, who tend to stock a whole variety of chocolate eggs and specialist Easter confectionary. I found the Cadbury Marvellous Creations Egg for around £5 from places like Tesco or Sainsbury’s. If you’re looking for something a bit more high-end, I would always recommend checking out Hotel Chocolat who also sell their range in John Lewis stores. This Milk Chocolate You Crack Me Up Egg took my fancy, as I love the cute egg faces and little characters, although at £28 it is a bit steep for a chocolate egg! Thornton's is always a great place to look for yummy chocolate gifts, and I found this cute looking Cupcake Egg for a very reasonable £3.99. They also do gift packages, such as this Easter Eggs-travaganza for boys for £10 (they also do one for girls). I know they always used to ice a personalised message onto their eggs for free, so it’s definitely worth popping into a store or checking out their website. The last fun egg I came across was the Robinsons Fruit Shoot Egg, which I had never seen before and looks quite fun. This is a medium sized egg and can be found at Tesco for only £3. I find at Easter that I often want to give a friend a little Easter treat but don’t want to splash out on a massive boxed egg. I’ve managed to find a few novelty products that would be perfect to leave outside someone’s front door. I’m a bit of a Haribo fan and love the fact they’ve started branching out into more seasonal products. This Bunny Mix is from Tesco and only costs £1, so you can treat yourself to a bag as well! Hotel Chocolat also has quite a large range of smaller Easter products and I particularly love these Egg and Soldiers, which I found in John Lewis. These are a bit more of a luxury at £7.50, but their chocolate is very good quality. You can’t get through Easter without spotting the classic Lindt Gold Bunny and I thought this gorgeous pack of two kissing bunnies, £4.99, was just adorable. Perfect for that special person in your life! This year, Lindt also seem to have brought out a new character (well, I’ve not seen it before!) – a little chicken. Like the bunny, there are a few sizes available, but I thought this pack of five little ones for £2 was particularly cute. Another brand who are branching out more with seasonal products is Cadbury Dairy Milk. You might recall at Christmas they brought out a bar of milk chocolate with white chocolate trees on it. Well, they’ve now brought out their Easter version – the Hoppy bunny bar. I’ve been looking everywhere for this and have still had no luck finding it, so you’ll have to let me know if you come across it! Whenever I think of Easter, one thing that often springs to mind is cute fluffy bunnies and chicks. This is the perfect time for buying cute novelty gifts for friends and family of all ages – who could say no to a fluffy little bunny appearing on their door step?! In John Lewis I came across this adorable kit to make your own Pompom bunnies and chicks for £7, which would be perfect to keep little ones entertained over the holidays. Like I said, you can’t have Easter without the Easter bunny, and I found this gorgeous little brown rabbit for just £7 at John Lewis. I was really excited to browse Marks and Spencer's Easter range and see my favourite character, Percy Pig, has yet again been transformed into a chocolate ‘egg’. But not just Percy – they’ve also remodelled Colin the Caterpillar in time for Easter, and for £6 each you could afford to treat yourself to both! Although Easter is a great excuse to stuff yourself with chocolate, sometimes it can be helpful to not be given hundreds of eggs on Sunday morning, especially if you’re trying to eat healthily! I’ve found quite a few nice gifts that would definitely make up for not receiving chocolate. Lush is a great place to start if you’re ever looking for non-edible but lovely gifts, and this year they haven’t disappointed with their Easter collection. 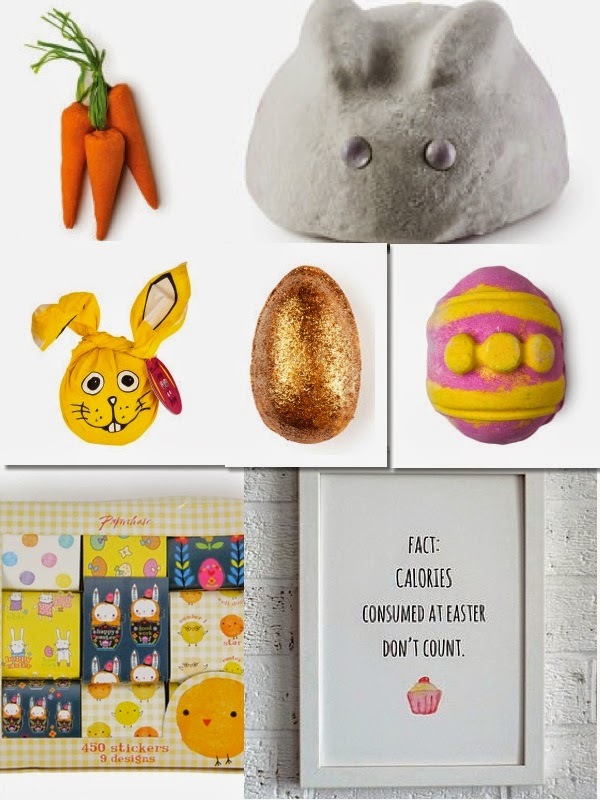 A few products that caught my eye were a bunch of bubble bar carrots (£5.95), a bunny bubble bar (£3.25), the funny bunny wrap (£19.95), a golden egg bath bomb (£3.50) and the pink fluffy egg bath bomb (2.95). If you’re looking for something a little more unique, how about these adorable Easter stickers from Paperchase for £4. I also found this funny art print on Not on the Highstreet for 8.50, which would make a great little gift to someone taking part in a weight-loss programme like Slimming World or Weight Watchers. 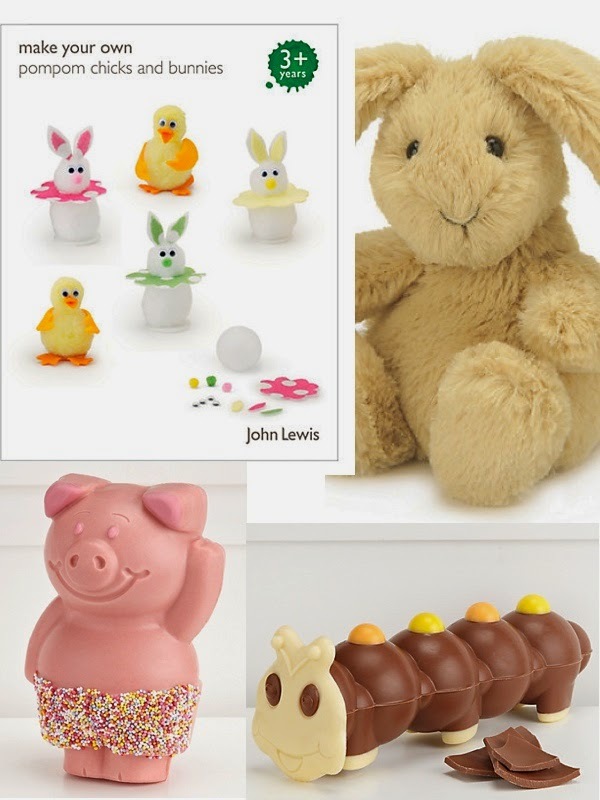 So, that brings me to the end of my post about Easter eggs and gifts for 2014, and hopefully it’s left you with some inspiration for your next shopping trip. Just don’t blame me if you end up eating more chocolate than you’d planned! How will you be celebrating Easter this year? Are you hoping for anything from the Easter Bunny?